such such SUCH an improvement here! 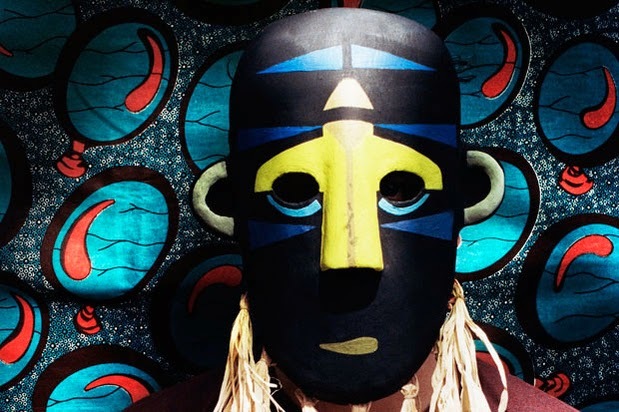 Don't get me wrong, SBTRKT's original New Dorp, New York has it's enjoyable moments but the hypnotic bass and chanting vocals kind of makes me feel like I'm participating in a cult ritual...unless I'm being initiated into the Illuminati, that's not really my scene. Belarbi's remix takes out the overly heavy bass and what I can only describe as Tarzan-inspired pots and pans accompaniment and replaces it with a jivey house piano and funky guitar licks, both of which eliminate the sense of eerieness the original song possesses. All of Belarbi's instrumental tweaks make Koenig's vocals more recognizable (he's the singer of Vampire Weekend) and also cause him to sound less like a serial-killer than he sometimes does in the unremixed track. Definitely an upgrade, turning a darker tune into a summer jam.